slope of a hill so one has to do some climbing. some 2,000 works in its permanent collection. Nova Scotian legislature. 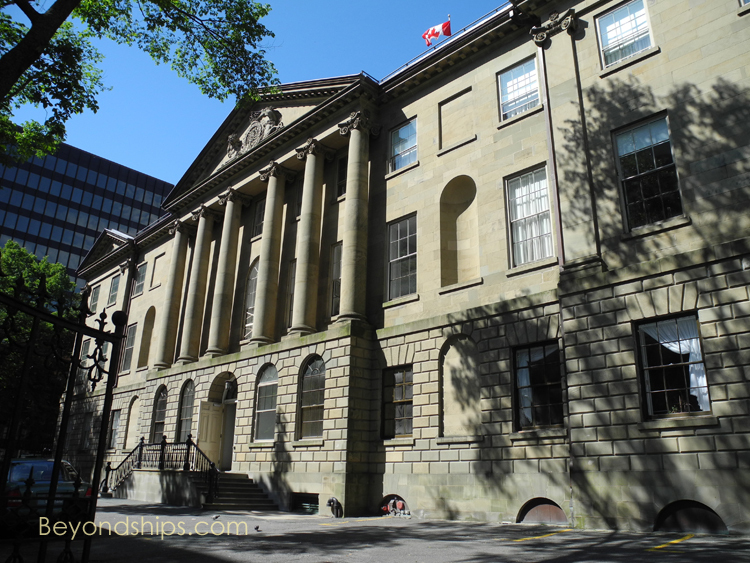 It is the oldest legislative building in Canada (1819). 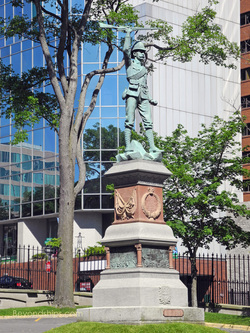 In the courtyard is a memorial to Canadians who fought in the Boer War. 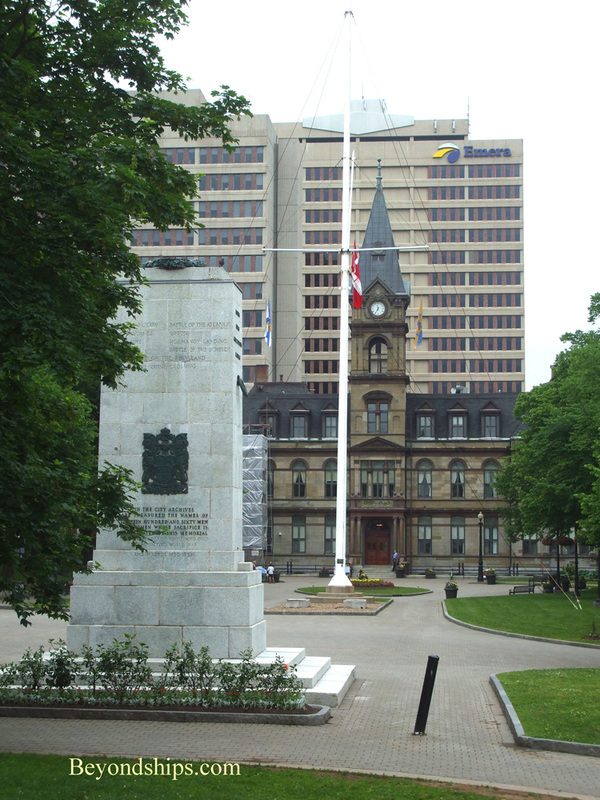 A little further up the hill is is the Halifax City Hall. Done in Second Empire style, it was built between 1887 and 1890. It remains the headquarters of the city government. The building has a seven story tall clock tower. 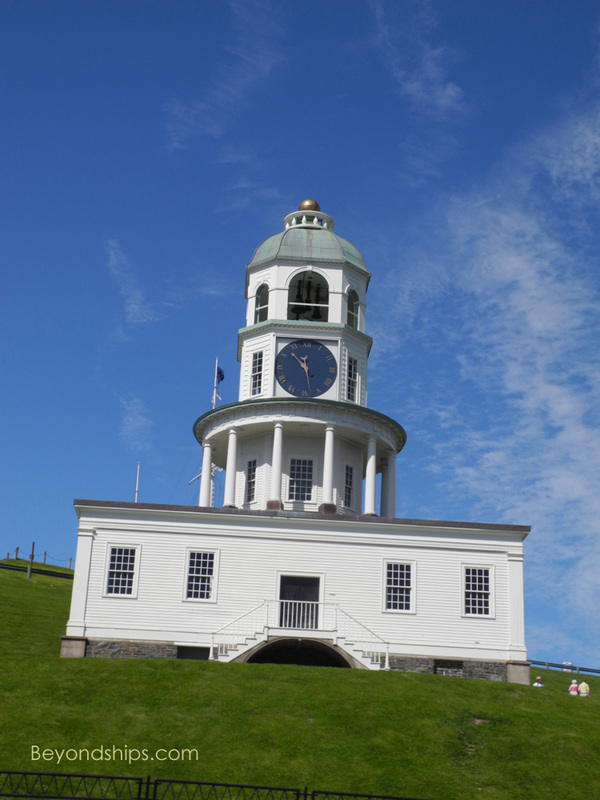 One clock face, on the north side, is permanently fixed at four minutes past nine - - the time of the Halifax Explosion of 1917. Lying in front of it is the Grand Parade Ground. This area dates from 1749 and was the traditional meeting place and military square. In the middle of the Parade Ground is the Cenotaph. 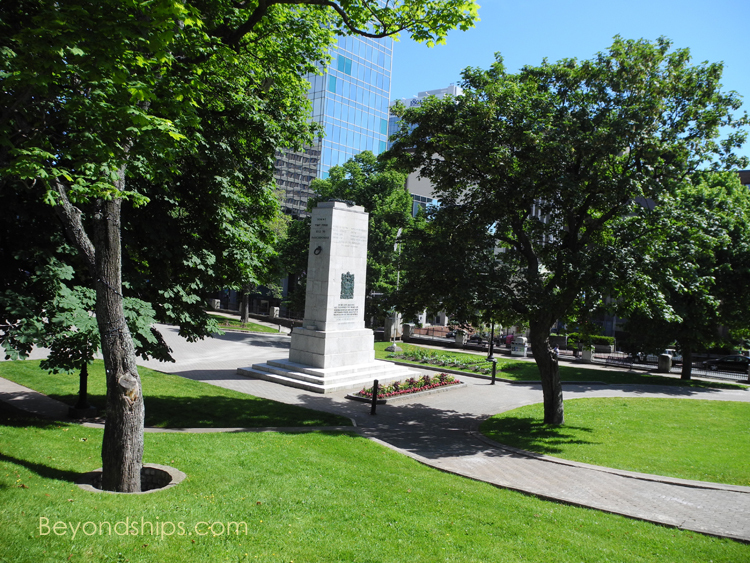 Modeled after the Centotaph in London, it is a memorial to Canadians who died in the World Wars. At the end of the Parade Ground opposite the City Hall is St Paul’s Church, built in 1750, the oldest Protestant church in Canada. It is said to be haunted. Climbing higher up what becomes a rather steep hill, one arrives at the Old Town Clock Tower. 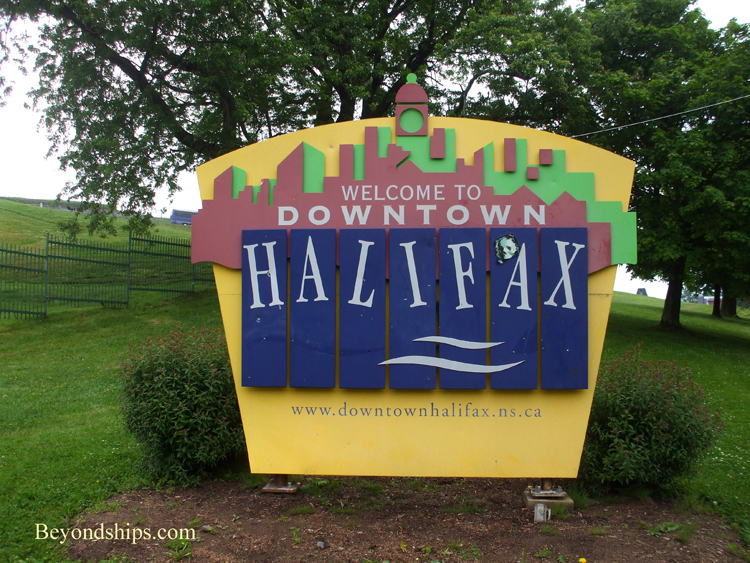 It was built on orders for the Duke of Kent, Queen Victoria’s father, who was the military commander of Halifax around the turn of the 18th into the 19th centuries. Reportedly, he did not want his men to have any excuse for not being on time. Although the building was restored in the 1960s, the clock is still powered by its original mechanism. It sits in a three tier tower atop a Palladian style building.